Why Did Microsoft Purchase LinkedIn? 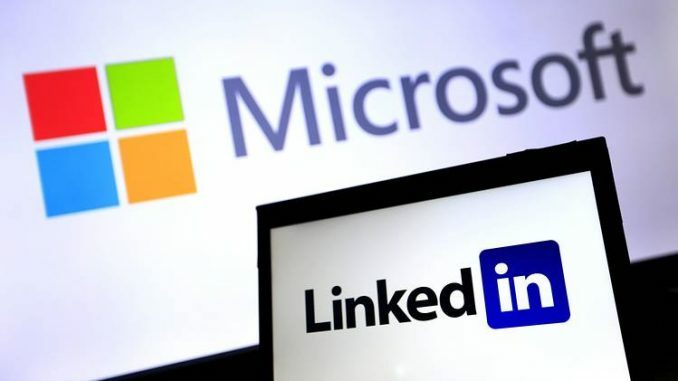 On June 13th of this year Microsoft announced that they have entered into a definitive agreement under which Microsoft will acquire LinkedIn for $196 per share in an all-cash transaction valued at $26.2 billion, the largest acquisition in the company's history. LinkedIn gets to stay mostly the same, leaving them their logo, their culture, their brand, their code, and even their CEO Jeff Weiner, but they will all be reporting to the head of Microsoft Satya Nadella now. This transaction will officially complete by the end of this year. LinkedIn is one of the world's largest and most valuable professional networks, with their shares peaking at $250, compared to Facebook’s $120. Over the past year the company has launched a new version of it’s mobile app that increased member engagement and enhanced the LinkedIn newsfeed. LinkedIn also recently acquired Lynda.com, a subscription based online learning platform, and has rolled out a new version of its recruiter product. Membership has been steadily going up and according to Microsoft News this is the company's growth statistics by year. The decision has been unanimously agreed upon by the board of directors from both LinkedIn and Microsoft. The hope is that LinkedIn will help boost Microsoft’s Social Networking side, despite struggles on both sides. Microsoft and LinkedIn are both already established tech giants in their own industry but have been slipping in recent years, combining the two seems like it might be a Hail Mary pass to keep both from fading into obscurity. Nadella is hoping that it will join the professional cloud and the professional network into one platform. This is the largest acquisition of all time by Microsoft. The runner up was Microsoft’s acquisition of the Nokia handset which was a $9.4 billion value. The combined LinkedIn Microsoft platform could help attendees of meetings learn more about one another directly from invitations in their calendars, while sales representatives could manage customer relationships better with useful tidbits of background on potential customers from Linkedin data. Combining the cloud platforms of Microsoft with the LinkedIn user data could potentially be a boost to both companies. It is likely that Microsoft also sees the online training of Lynda.com as an opportunity. Training videos could be added to Microsoft software offerings for Excel or other Microsoft programs. And there is Cortana to consider. This digital assistant is not in any way competing with Siri, however, using the Cortana AI to access all of the LinkedIn data could change the way we search for jobs or employees. Imagine saying, “Cortona, I need someone who has a BS in electrical engineering and has volunteer experience in a third world country, and who can speak at least 2 languages.” and then having a list of potential employees at your fingertips. The purchase has also come as a bit of a save to the shareholders at LinkedIn, the shares dropped to a $101 last February, but luckily sold for $196. As LinkedIn and Microsoft move forward together, there remain a few questions. What can we expect to see from them in the next few years? Will they succeed with this business plan or are they going to fail? And will the culture clash be too much to handle? We will have to wait and see.